1 We recommend the enactment of child poverty legislation to ensure the proper and regular measurement of child poverty, the periodic setting of government targets to reduce child poverty, the setting of child poverty-related indicators and targets for selected indicators, and the annual reporting to Parliament of progress towards the achievement of the designated targets by the responsible Minister. 2 We recommend that the government institute at least five official poverty measures to capture the different aspects of child poverty including: a fixed-line income measure; a moving-line income measure; a material deprivation measure; a severe poverty measure; and a measure of poverty persistence. 3 We recommend that the government set targets to reduce child poverty. Such targets should cover both the short-term (three years ahead) and the longer-term (ten years ahead) and should be reviewed at least every three years. 4 We recommend that the targets set for reducing child poverty achieve parity for Mäori and Pasifika with other children. This requires an accelerated rate of poverty reduction for these groups. 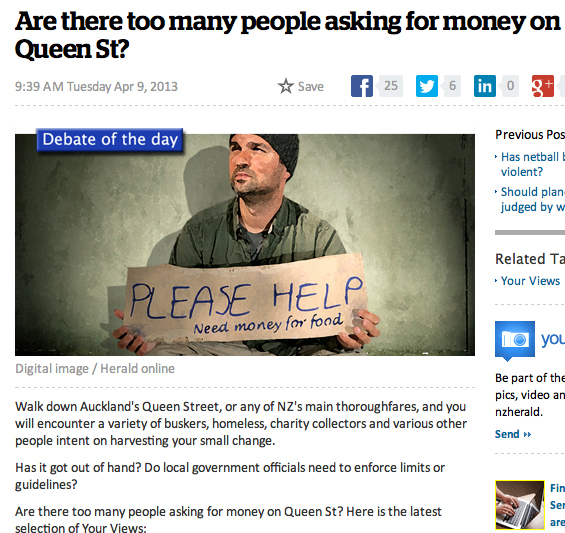 As you already know if you’re a regular reader of this series, the Nats (so keen on measurement for beneficiary bashing) have refused to set targets for reducing poverty, they have refused to even try to measure the problem – in fact they seem to find the whole idea literally laughable. • be targeted based on family income from age 6 years onward. 18 We recommend that the government evaluate welfare-to-work programmes for the effectiveness and efficiency with which they achieve earnings and employment for participants who are parents, and establish an evidence base of what works and what does not. 31 We recommend that the government take additional action to reduce poverty and mitigate its effects for Mäori children and young people so that they are on a par with other children in New Zealand, and report annually on progress. 38 We recommend that the government take additional action to reduce poverty and mitigate its effects for Pasifika children and young people (including children in families who have recently arrived in New Zealand) so that they are on a par with other children in New Zealand, and report annually on progress. 60 We recommend that the government design and implement a collaborative food-in-schools programme, commencing with decile 1 to 4 primary and intermediate schools. 78 We recommend that the government ensure that all policies with major impacts on child poverty be subject to periodic and robust evaluation so that a strong evidence base can be built for guiding future policy-making. It’s all here, it’s all carefully thought out, linked to the evidence, well structured and concise. This is what we need to be doing. But given that the Nats are not interested in even the first step, defining and monitoring the problem, it is clear that they are never going to move on any of these recommendations. Any chance of a permanent ban? I get bored reading this persons’s constant attempts to derail constructive conversations with puerile, aggressive and dull comments. Why? Because i don’t agree with you. Do you also object with Knuckleheads (and others) aggressive comments? Or is it ok to have aggressive comments so long as they are against National? Do better? You mean toe the Labour Party line? What’s with the name calling? That’s childish. Quite happy to debate issues but can’t be bothered with name calling and BS. Of course, if you don’t want to be challenged on your posts i certainly have better things to with my time and will quite happily express my contrary views in other forums. Surely, The Standard is not interested in following the Chinese example of censorship? Or are they? Is there a link for the screenshot article?